Another quarter has flown by! I had a great time volunteering at the Fried Chicken & Champagne Fest, it was nice to see many of the board members there. These past 10 weeks I have been busy working hard with my Capstone group on finishing up and perfecting our project. 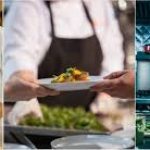 As I stated in my last blog post we were tasked with increasing lunch traffic flow for The Albert restaurant inside Hotel EMC2. We put a lot of hard work and research to come up with the target markets and different marketing strategies. On Friday, March 8th we presented our project to twenty judges in the hospitality field, it was a little nerve-racking but with lots of preparation my team and I did awesome! After our presentations we got to show the public our project at the showcase. I loved seeing all of my classmates’ final projects all put together at the showcase. 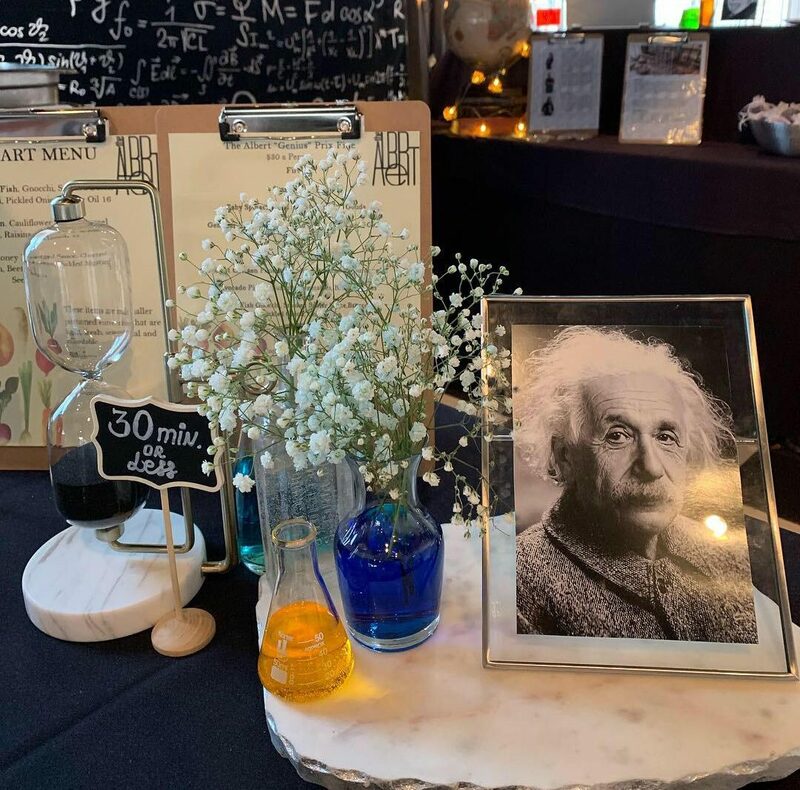 Our showcase booth really captured the Art & Science aspect of The Albert from antique books, to the flowers in beakers and our signature drink, Brilliance, in test tubes. 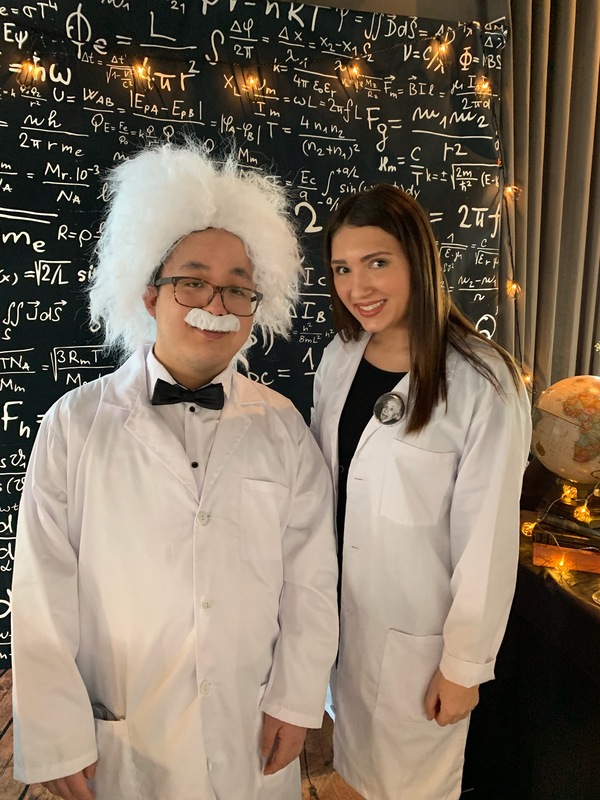 One of my team members even dressed up as Albert Einstein, while the rest of the team wore science lab coats. It was truly incredible seeing all of our hard work and dedication being displayed. I was even a little sad when we had to take it all down. I now have only one more quarter of classes at Kendall and then my last internship. I am super excited to take all of the knowledge and experience Kendall has given me and bring it to the real work world. 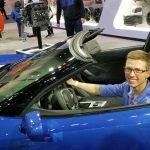 I want thank everyone who has donated to the KCT. This scholarship has made such a wonderful impact on journey at Kendall College. I will forever be thankful for being given the opportunity of this scholarship. Until next time, Natalie.